NBIT Townsville are seasoned experts in Laptop repairss. 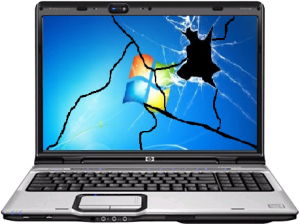 With local techs available to resolve issues with your laptop in your home or at our workshop. We have over 50 years combined experience, so you can be assured we will exhaust all options in resolving any issues. We pride ourselves on laptop repairs done right. Got a cracked or off colour screen? Is the image blurred, showing lines or completely dark? NBIT Townsville have access to extensive catalogues of replacement screens both in Australia and Overseas. So if your screen isn't showing you what it's supposed to, you can be certain we can find a fix for it. Let us know the make and model of your laptop for and accurate repair quote. It's more common than you think. Laptop keyboards are far more delicate than their desktop counterparts but are remarkably cheap to repair. Both genuine and non-genuine replacements can be sourced and installation is carried out by the most experienced technicians in Townsville. 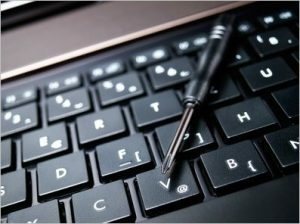 Call now to get a quote on a laptop keyboard repair. Laptop not switching on, not charging or not hold a charge? Replacement batteries are not at all expensive and usually very easy to replace. NBIT Townsville only use high quality spares sourced in Australia, so you can rest assured your new battery will last. Some models have larger capacity batteries available as well. 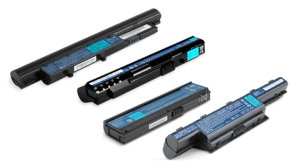 What model laptop do you need a new battery for?